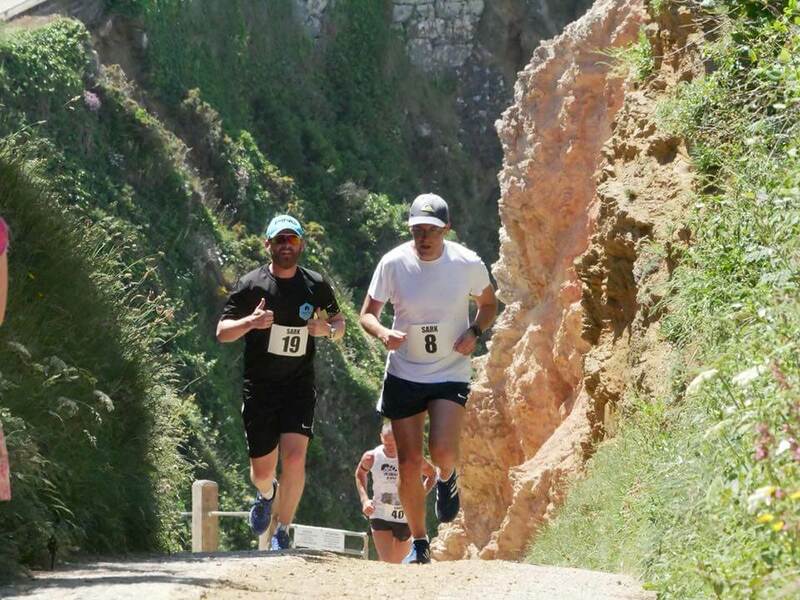 I was very fortunate to be invited to take part in a 10 mile cross country event on the beautiful island of Sark! Sark is one of the few remaining places in the world where cars are banned from the road and only tractors and horse-drawn vehicles are allowed. To get to the island, we took a rib boat from Jersey. Fortunately, the sea was relatively flat and the sun was shining. Once we arrived, we headed up to the registration where some friendly volunteers ran through the process. We did a few stretches, had the briefing and off we went. We ran through fields, jumped styles, dodged tractors, went the wrong way (more than once)…and took on some serious hills. The scenery was stunning. I only looked at my watch a couple of times. Which was a first for me, just trying to get myself around the course without worrying about the pace was really quite enjoyable. Being a midday race it was also very hot. Running in the shade line instead of the race line, was a wise move. The legs were getting tired towards the end but managed to find enough energy to cross the line to some great support. The post race BBQ (and cider) were well received. Huge thank you to the organisers, marshals and everyone else who made this event possible. We met some really nice people from the other islands who were all very interested in finding out about the Lonely Goats! Lastly, thank you to Jersey Running Club for the invitation and orgainsing the boat over. What a great day! If you’ve never done a cross country run before, then give it a go. It really exceeded my expectation and I’m sure it will for you too.